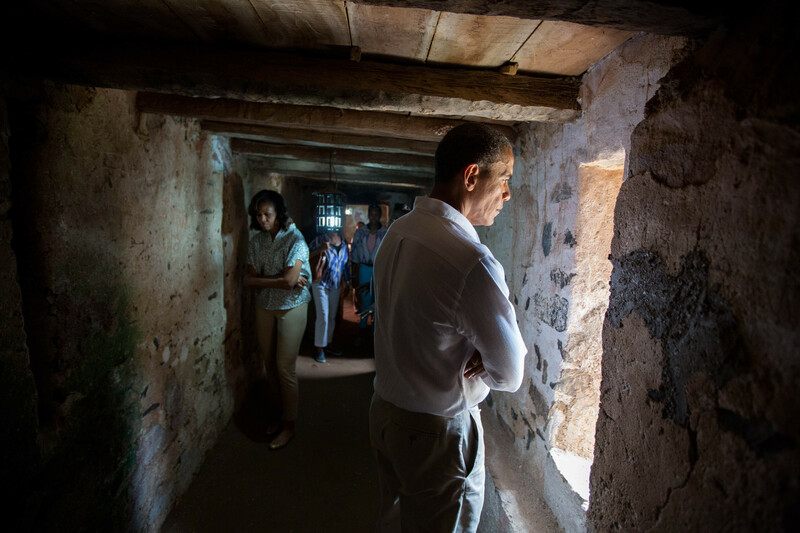 The White House released photos from President Barack Obama's trip to South Africa on Monday, including several of the president and his family visiting Nelson Mandela's former jail cell on Robben Island. "On behalf of our family, we're deeply humbled to stand where men of such courage faced down injustice and refused to yield. 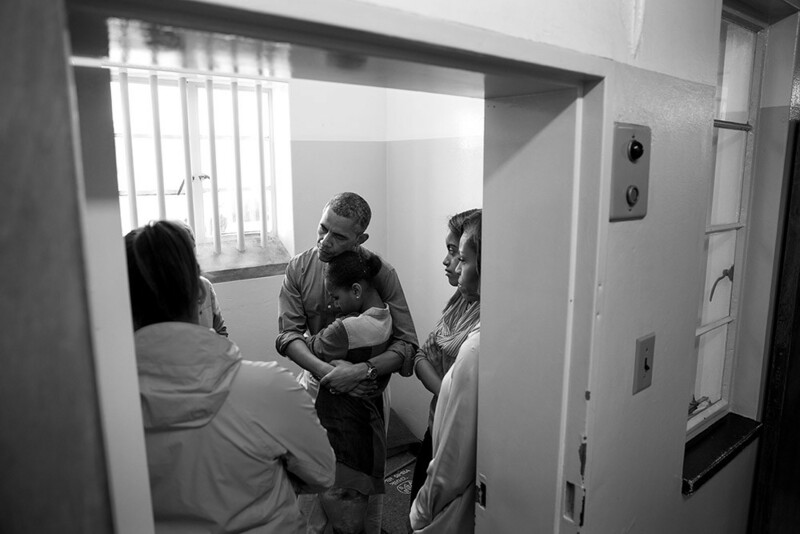 The world is grateful for the heroes of Robben Island, who remind us that no shackles or cells can match the strength of the human spirit," Obama wrote in the guest book during his June visit.